The 25th PDC World Darts Championship continues today with the last few remaining second round matches before the start of the third-round matches following a quick break for the Christmas holidays. There are six matches in total today, played across two sessions in the afternoon and later on in the evening. For fans, Peter ‘Snakebite’ Wright, Michael ‘Mighty Mike’ van Gerwen and Raymond ‘Barney’ van Barneveld are all in action tonight. So far this Championships, we have seen James Richardson, who goes again this afternoon, take care of Kim Huybrechts in a shock whitewash win, Vincent van der Voort overcome Dave Chisnall and one of the biggest upsets ever as Kevin Munch — ranked outside the world’s top 300 — beat Adrian Lewis. For today, first up is Simon Whitlock and Darren Webster. Australian Whitlock is looking to put last week behind him when his game was hampered by a touch of winter illness, leaving him averaging a less than impressive 87 and missing 28 doubles against Martin Schindler. Webster, who plays 24-hours later, wasn’t much better but he did destroy Whitlock on this very stage 12 months ago and could well come out on top again tonight. Alan Norris steps out in the second match of the afternoon with James Richardson providing the opposition. ‘Chuck’ Norris won easily ten days ago against Kim Viljanen and should emerge the better man tonight against Richardson who has been playing very well, but looks unlikely to match previous heights this afternoon. This match is followed by Kevin Munch and Toni Alcinas. German Munch has already provided the shock of the tournament by coming from two sets down against twice World Champion Adrian ‘Jackpot’ Lewis to win and will fancy his chances again tonight. Crowd favourite Peter Wright is out next against Jamie Lewis with the second seed clearly still not operating at full power during his win over Diogo Portela after suffering with gallstones in early December. Surely though, as another week has passed, his recuperation improves and he should have enough in the tank to get him through to the later stages here. The second evening session match and first battle of the third round is an all Dutch affair as Vincent van der Voort takes on Raymond van Barneveld and could provide the biggest darts betting shock of the night. Former winner here ‘Barney’ is obviously the favourite but this one couldn’t be closer to call. Vincent van der Voort is playing some of the best darts of his life and has already dumped out Dave Chisnall and Steve Beaton. I’d still side with ‘Barney’ but pay attention closely. MVG is out next, fresh from a 4-0 destruction of James Wilson, in which he won every leg. Good as he is, Mighty Mike’s opponent Gerwyn Price will have to perform at his very, very best to even claim a set. Expect another showcase performance from the tourney favourite. Over at the Lakeside Country Club, and very much in the shadow of the PDC, there is the annual and completely separate World Professional Championships, hosted by the BDO (British Darts Organisation). It may not be the glitzy, glamour show of the PDC and the Ally Pally, but for many Lakeside’s biggest event represents the true spirit of darts with top talents to match. On that note, it would, of course, be remiss of a Darts betting site to ignore this darting spectacular, so let’s take a look at the runners and riders of next year’s ‘other’ World Darts Championships. Those looking to watch the event will find the tournament live on Channel 4, who took over coverage from the BBC last year. This year’s WPC will be held between the 6th of January 6 to the 14th. In that time, the BDO’s top 54 professionals will be challenging for the much-coveted trophy. This is the 40th run of the championships, having first been staged in 1978. The BDO teamed up with the Lakeside Country Club in 1986 and have hosted the event thereafter while taking over as the main title sponsor in 2004. Tournament favourite and last year’s champ, Glen ‘Duzza’ Durrant is 5/4 with Betway to win the tournament outright. This in a year where he has also banked the World Darts Trophy in Utrecht, Holland, plus narrowly losing to the PDC’s Peter ‘Snakebite’ Wright in the Quarter Finals of the recent Grand Slam, a tourney that incorporates players from both codes. Long rumoured noises of a switch to the PDC have not yet materialised despite the PDC recently abandoning entry fees for Players Championship events, UK Open Qualifiers and European Tour events. Durrant himself has admitted that any likely deflection depends “on how it goes this year at Lakeside”. Favourite though he rightly is, he isn’t number 1 on the block right now, that honour falls to Mark McGeeney which makes Betway’s 20/1 an intriguing proposition. The second favorite is another on the PDC radar, Danny Noppert, who is available at 8/1 and I think might prove to be a wise punt. Given Michael van Gerwen’s likely dominance over at the Ally Pally, a Dutch double is definitely worth a shot. As an aside, the odds of a Dutch double recently took a boost with the sorry news that Peter Wright was rushed to hospital with suspected gallstones last Thursday and is now a doubt for the World Championship. According to a Tweet from the player’s wife, Jo, Betway’s 10/1 third favourite is now back at home but won’t be taking part in any competitions until he is well enough. We wish him all the best of course. Back at the BDO, Scott Mitchell is at 10’s, while Cameron Menzies and Jamie Hughes are each 14/1. For 22/1, Scott Waites can be picked up, a few points lighter than the 25/1 offered on Dean Reynolds, followed by the old favourite Martin Adams and a 33/1 price tag. As for the format, at less than a week long, the event is considerably shorter than the PDC’s winter offering and doesn’t start until after the PDC Championships have finished on New Year’s Day. Last Wednesday, the draw for the BDO Players World Championship Draw was announced. As expected, there are some very interesting matches for bettors. Number one seed and reigning champion Glen Durrant will begin his campaign with a match against the winner of a preliminary round game between Gary Robson and Pengiran Mohamed, who is the first player ever from Brunei to compete here. Jersey Open champion, Scott Waites, also a two-time Lakeside champ, has been intriguingly paired with fifth seed Ross Montgomery, the British Open and Wolverhampton Open title holder. The other ex-champion, Scott Mitchell meets Lithuanian chucker Darius Labanauskas. Another exciting encounter should be the match-up between second seed Mark McGeeney and BDO legend and three-time Lakeside title winner Martin Adams. In this match, McGeeney is the inform player, but Adams — who is a seasoned pro — would be a popular winner in the likely case of a victory. The 25th staging of the PDC World Championships gets underway on Thursday, setting off 18 days of pure darts action and making up what has become part of the holiday season’s crucial viewing for darts fans and non-fans alike. Sadly, this will be the last time we will see the departing legend and 16x World Champion Phil ‘The Power’ Taylor throw a dart — at this level at least. 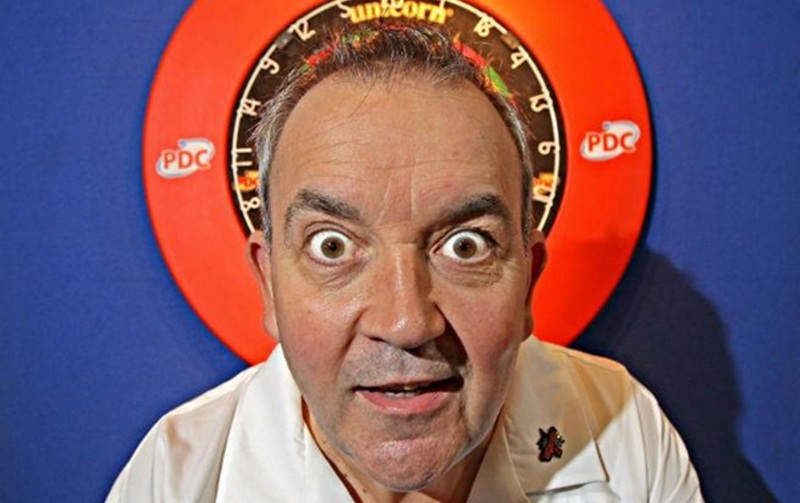 But even as the greatest darts player of all time exits stage left, there is still plenty to get excited about. This time last year, Michael van Gerwen was set to become a two-time World Champion, joining Adrian ‘Jackpot’ Lewis and Gary ‘The Flying Scotsman’ Anderson as the other double winners on the tour. Now, he arrives at London’s Alexandra Palace — Ally Pally if you’re cool enough — gunning for a third world title. Anderson, along with world number two and third seed Peter ‘Snakebite’ Wright, are likely to be the closest challengers to the Dutch master. 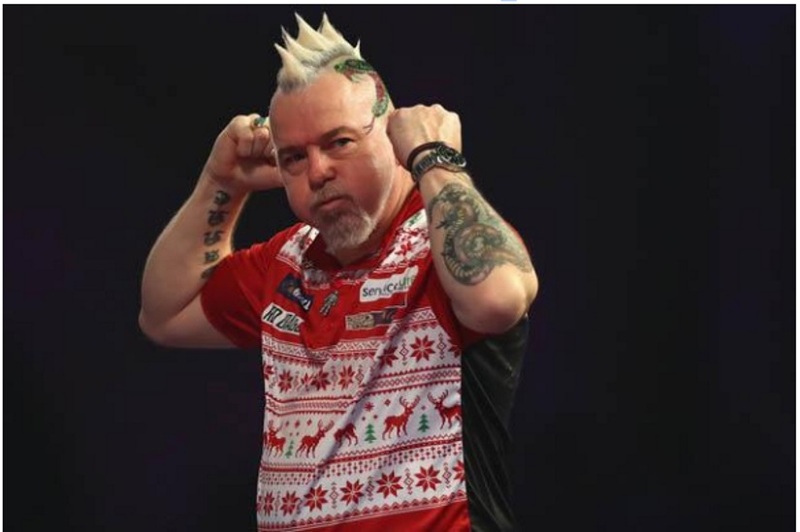 In Peter Wright’s case, participation is entirely dependent on his recovery from a recent attack of suspected gallstones, leaving Wright unlikely before Thursday according to a Tweet from his wife. The illness has pushed his price out to 10/1 at Betway to win the event outright, which is surely great value for such a high-ranking player. Wright, always a crowd favourite, brings colour to the show and would be sorely missed should he be absent from the event. This is especially true given that overtook his great rival Gary Anderson in the Order of Merit this year. Having won major titles this year, emerging stars Mensur Suljovic and Daryl Gurney will go into the World Championship with confidence, with odds of 50/1 and 40/1 to win outright, respectively. The meteoric rise of Rob Cross, who is making his Ally Pally debut this year, has repeatedly reached the latter stages of major tournaments leading many to predict a bright future for the 27-year-old and is now pushing for a Premier League place. His performance this year is enough for us to select him as dark horse of the tournament. Not that we expect him to win, but look out for match-to-match value or even jump on an each-way outright bet which could pay off should he run deep enough. Let’s not forget that the rookie has played and beaten Michael van Gerwen on a couple of occasions this year too, so never say never. And, of course, it would be criminal to rule out former World Champion Raymond van Barneveld, while the likes of James Wade and Dave Chisnall will be on a mission to prove that they still belong in the company of the elite despite recently dropping out of the top eight. The stand out match of the first round is Phil Taylor against Chris Dobey, quarter-finalist in the 2016 Grand Slam of Darts. Dobey, who beat Raymond van Barneveld at the Grand Slam in Wolverhampton, will be a tough opening opponent for Taylor. Phil loves to put young threats in their place, just as he did so brutally to Daryl ‘Superchin’ Gurney last month. To surmise, Michael van Gerwen, who has won the last four TV events coming into the last four majors, is the red-hot favourite. Then there’s Gary Anderson and Peter Wright with the winner coming from one of those three with Rob Cross, 6/1 to reach the final, as the outsider. But don’t write off Phil Taylor, who has the edge over MVG this year and will want to end on the ultimate high. Sky Sports will be broadcasting all of the action live, across their Main Event, Action and Arena channels. All sets are the best of five legs and the following formats apply.